It's the Ultimate Capitals Game 2 Highlight Montage. Hear the calls from John Walton and Ken Sabourin on the Capitals Radio Network along with postgame audio from players and coaches. 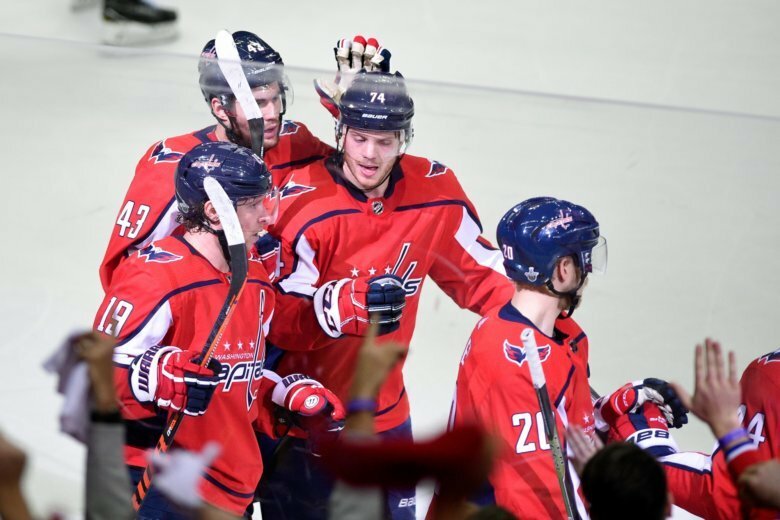 PITTSBURGH, Pa. — As the Washington Capitals prepare for Game 3 of their second-round series against the Pittsburgh Penguins, we take one more look back at Washington’s 4-1 Game 2 victory. Take a listen to the Ultimate Game 2 Montage. Hear the highlights from John Walton and Ken Sabourin on the Capitals Radio Network along with postgame audio from Barry Trotz, Brett Connolly, Nicklas Backstrom, Lars Eller, Braden Holtby and Mike Sullivan. Programming note: Catch the call of Game 3 tonight on WFED 1500AM with pregame coverage beginning at 7:15 p.m.